We’re still coming to you LIVE from this year’s SDCC 2016! 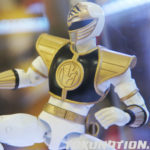 We sent our photo guys back to the Bandai America booth to take some up close personal pictures of the upcoming Legacy Power Rangers In Space figures! Not due out until late 2016/early 2017, these figures mark the first release for all non-Red Rangers in a very long time! Check out all the images by clicking the title of the story. Are you going to grab them? Sound off in our discussion thread! 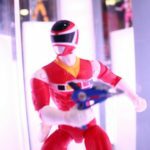 Before we look at the Power Rangers In Space B assortment of Ranger Keys, please take a moment and check out our previous Ranger Key galleries! 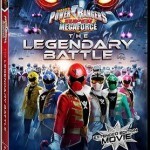 The Power Rangers Super Megaforce – Power Rangers In Space Ranger Keys Set B comes with three different Ranger Keys – a translucent In Space Red Ranger, a translucent In Space Blue Ranger, and a In Space Yellow Ranger! 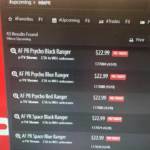 Unfortunately, the In Space Pink Ranger was never released at retail and there are no plans currently for her to be released. If you wanted the In Space Silver Ranger you would need to pick up the Legendary Morpher Gift Set, of which he was one of 20 different Ranger Keys included in the set. 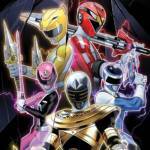 The best key out of the set is easily the translucent In Space Blue Ranger – but that’s just our opinion. Check out 25 images by clicking here or by clicking the “Discuss” link at the end of the post. Did you pick up this set? Do you like it? What was the best key in this set in your opinion? Sound off in our discussion thread!